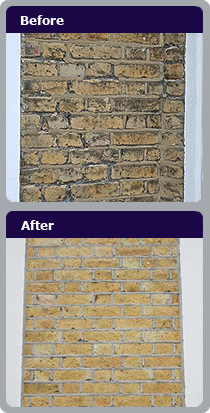 There are numerous reasons for the building owner to commission the restoration of the external fabric of a building. However, ‘obsolescence’ is typically a major factor in the decision-making process. In the UK and to a large extent Europe, the main construction materials for the built environment of the previous two centuries have tended to be brick, stone and flint – all of which benefit from longevity. Combined with the continuous reuse of buildings, there is today a substantial percentage of aging building stock that suffers from varying degrees of external obsolescence. The ingress of water into the external fabric of the building and subsequently internally for pre-cavity constructed buildings. Frost or water damage indicated by the 'spalling' of the face of the construction materials. Structural damage that will eventually affect the building fabric if the previous stages of obsolescence are not addressed. Subsequently, costly reconstruction may be required. 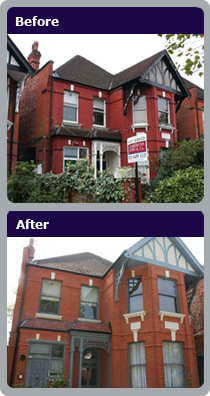 Building owners commission the restoration of a building for various reasons as a result of obsolescence. Conservation – the preservation of historical building stock. Image – for commercial organisations, to maintain the aesthetic value of their buildings. Pollution – urban building stock suffers from the effects of pollution from motor vehicles, the legacy of past industries and the use of fossil fuels for heating. Property Value – the performance and aesthetics of the building greatly affects the value of the property. Resale – poor building performance will affect the resale of the property and in turn, its resale value. In the majority of cases, the project costs associated with external restoration of a building are relatively low in relation to the benefits that can be achieved. In particular, the increase in the value of the property and subsequent resale factors. Also, the enhanced image of the property and reduction in risk of potentially costly structural defects. Unfortunately, there are significant risks in undertaking restoration projects of this type. With the visual impact of external work to a building and the inherent perception of its maintenance, care must be taken to ensure the company undertaking the work posseses the necessary skills and experience. Today, there are too many examples of poor workmanship that undermine the factors highlighted (see Obsolescence & Risk).